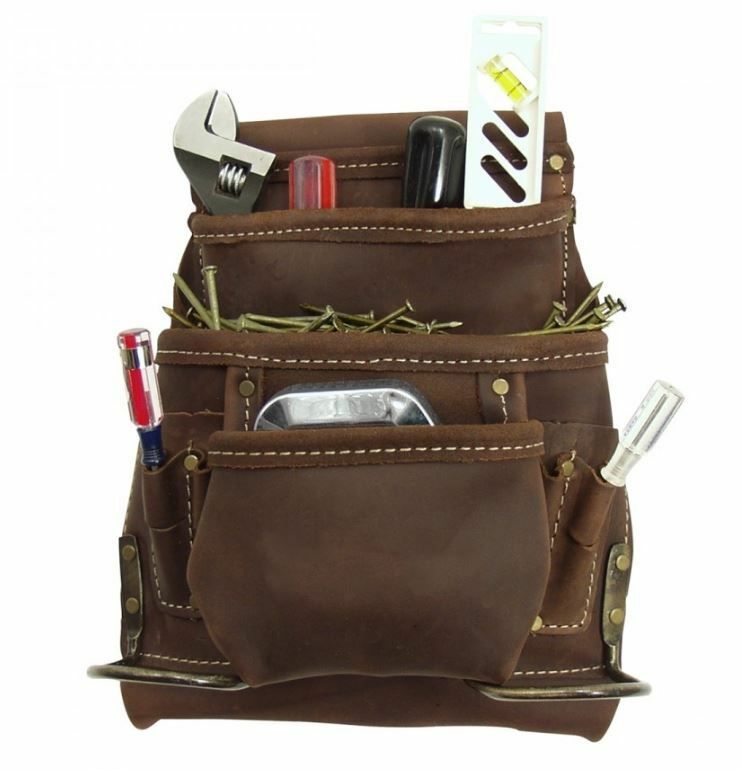 This McGuire-Nicholas 10 Pocket Nail and Tool Pouch is constructed from premium top grain brown leather with rust resistant antiqued riveting reinforcing the already heavy duty stitching. Oil tan treatment with a proven combination of oils and waxes gives it excellent water repellent properties and durability, ensuring a long service life. With its large capacity main pocket and 9 other pockets for large quantities of fasteners, screwdrivers, pliers, utility knife and all the other day to day essential hand tools, the pouch is ideal for those involved in first fix carpentry and framing amongst others. Having 2 steel hammer holders means that this pouch can be worn either on the left or the right. The tunnel loop belt fitting allows the pouch to be worn on a 2 inch wide belt.